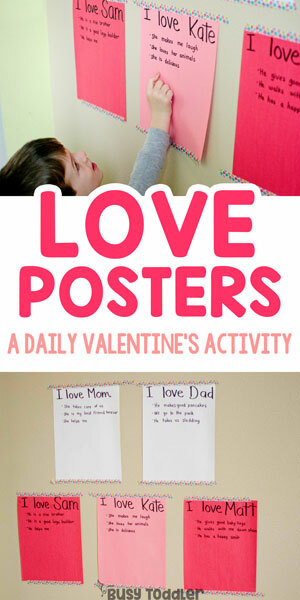 Inside: Make some Love Posters with your family as an easy Valentine’s activity. Looking for an easy Valentine’s activity for the whole family? How do you explain Valentine’s Day to a toddler? Is your brain starting to hurt a little? How do you explain such an abstract holiday to small children. Well, here’s how I’m going it with my family: we’re making love posters. 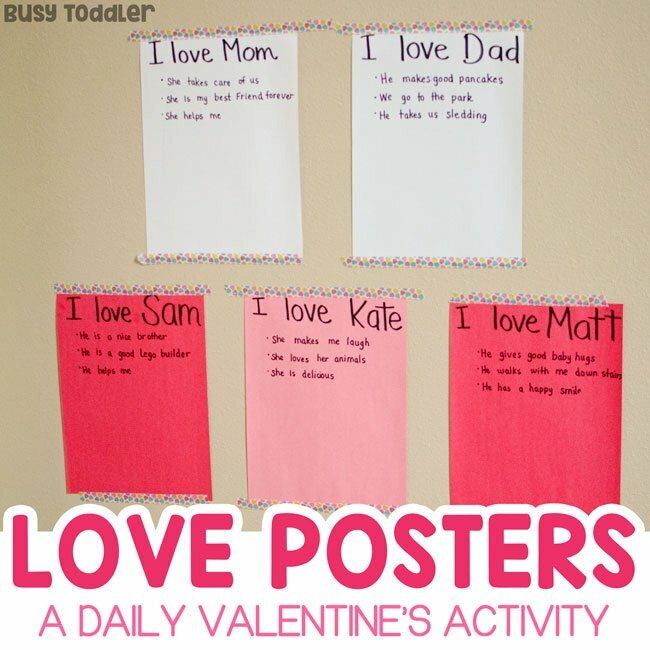 Love Posters are an easy way to explain Valentine’s Day to your toddlers and help build anticipation for this fun holiday. I started making Love Posters with my kids as a way to help them understand Valentine’s Day. It’s a pretty obscure holiday and, coming off the heals of Christmas, it’s not quite as “on their radar” as that holiday is. So I grabbed some paper and sat my kids down at the kitchen table. I explained that February is a month of love and we celebrate love on a day called Valentine’s Day. I told them that every day until Valentine’s Day we would build our Love Posters and fill them with things we love about each other. I hummed and hummed and talked out loud about things that I love about Daddy. I settled on “He makes good pancakes” as something I love about Daddy – I wanted to keep my example simple and concrete for my kids. Just to make sure they could totally grasp the concept. They did and they love it! 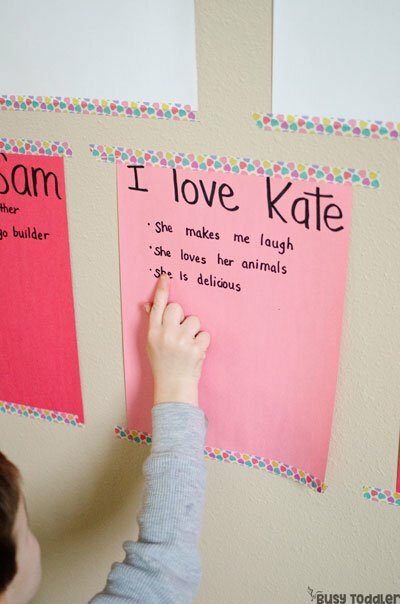 We are only a few days in on our Love Posters but the kids are already digging these affirmations. 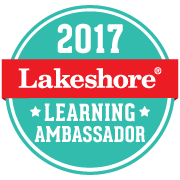 They love hearing things our family loves about them and especially love sharing what they appreciate about each other. It’s a great act of kindness for them all! 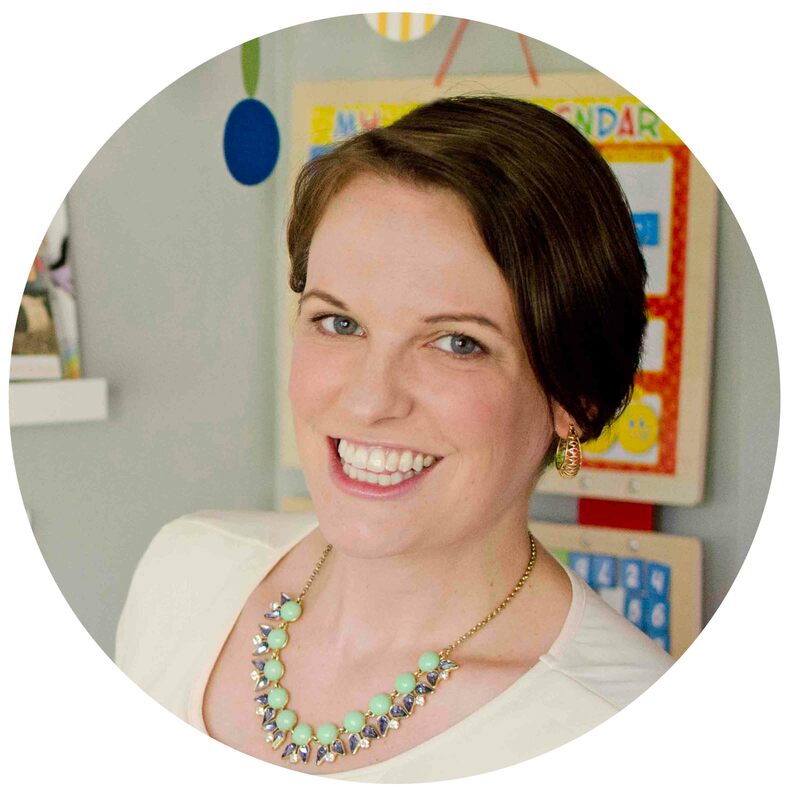 Each day, we sit first and reread our “loves” – which makes them beam. What a beautiful way to start the day with so many positive vibes and good feelings! This is just such an easy one to set up! It “requires” next to nothing! I made a Love Poster for each of my kids, and one for Dad and Me so this could be a total family event not just focused on the kids. Making Love Posters for our family has been so much fun and I can’t wait to keep working on this easy Valentine’s activity as we lead up to February 14. 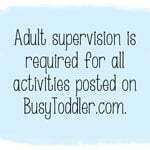 Will you try this easy Valentine’s activity with your family?